Guava leaves have antioxidants and antibacterial elements. They can provide quick relief for various conditions. Guava leaves can also help you with weight management. Guava must be one of the favourite fruits for many. It not only tastes great but also offers several health benefits. However, most of us are completely unaware of the fact that even guava leaves have a lot to offer. You may be surprised to know that guava leaves have amazing antioxidants, antibacterial and anti-inflammatory properties that can help you with so many problems. Let's see what all the guava leaves can do for us. Guava leaves aid weight loss by preventing complex starches from being converted to sugars. Guava leaves prevent transition of carbohydrates which are broken down in the liver to useable compounds, thereby supporting weight loss. The Yakult Central Institute in Japan conducted a research on guava leaf tea. The research concluded that guava leaf tea could effectively lower blood glucose in diabetics by reducing alpha-glucosidease enzyme activity. 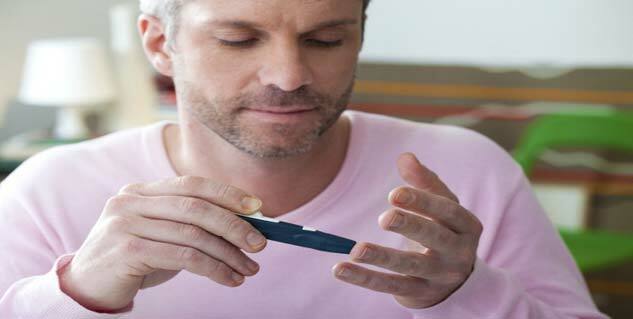 In addition, it prevents absorption of sucrose and maltose by the body, thereby lowering blood sugar levels. Drinking guava leaf tea for 12 weeks can lower blood sugar levels without increasing insulin production. Guava leaf tea may be helpful for heart and circulatory system. According to a laboratory study published in 2005, the compounds in the guava leaves may reduce blood pressure and heart rate. Consumption of guava leaf tea may also improve blood lipids, lower blood cholesterol and unhealthy triglycerides. Guava leaves work as a wonderful herbal remedy for diarrhea and dysentery. Boil 30 grams of guava leaves with a handful of rice flour in 2 glasses of water. Drink the mixture twice a day to treat diarrhea. For treating dysentery, cut the roots and leaves of guava plant and boil them for 20 minutes at 90 degree Celsius. Strain the water and keep drinking the solution in moderate amount until you get relief from dysentery. 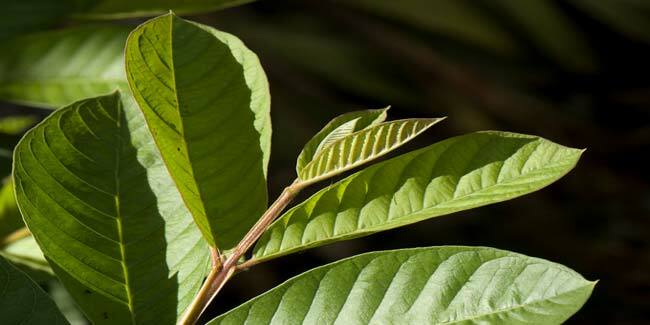 Guava leaf tea can also aid digestion by stimulating production the production of digestive enzyme. The powerful antibacterial agents effectively destroy harmful bacteria in the lining of the gut and stop proliferation of toxic enzymes by bacteria. Guava leaves provide relief from food poisoning, vomiting and nausea.